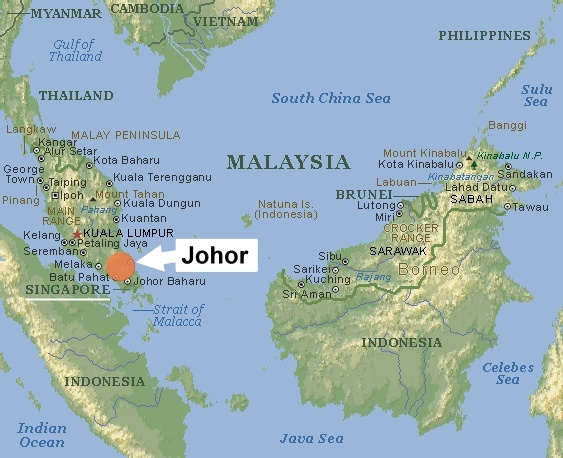 Johor is one of Malaysia’s 13 states whose capital is Johor Bahru. It is in Malaysia’s southern extremity and is actually mainland Asia’s most southern point. Johore’s considerable landmass is home to yellow pear orchards, rubber tree orchards, coconut and palm oil groves, peaceful villages, and serene fishing villages. They have preserved many natural wonders, golden-sand beaches, and countless enchanting offshore islands with crystal clear water perfect for scuba diving. Johore has also designated many protected forest areas, and nature-lovers will be bowled over by Endau-Rompin Park, located in the stretch between Johore and Pahang. These verdant, green, untouched-by-man parks are home to so many rare, near-extinct species, such as the two-horned rhinoceros. The rocks and hills here are estimated to have been around for 250 million years. Johore is also home to a few excellent domestic golf courses. The climate is fairly suitable to traveling year-round. Every July, the Pulau Tengah ocean park has sea turtle nesting areas, attracting herds of tourists. Even though it’s blistering hot during the day, there’s usually some rainfall in the afternoon, and the evening is perfectly pleasant with the cool post-rain breeze. 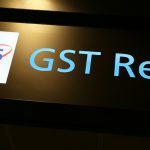 However, if you’re coming here to conduct business, the best time is March – November because Malaysian businessmen tend to be on vacation from December to February. You should also avoid the week before and after Christmas and Easter, Ramadan, and Chinese New Year. Tanjong Piai means “cape” in Malay, and is a cape both in name and is practice, as it’s actually the Asian mainland’s southernmost cape. The Malaysian Tourism Board has tried to actively promote it as a destination, but so far they’ve had little luck, as it’s uncommon for foreign tourists to visit a place just on the strength of its reputation. 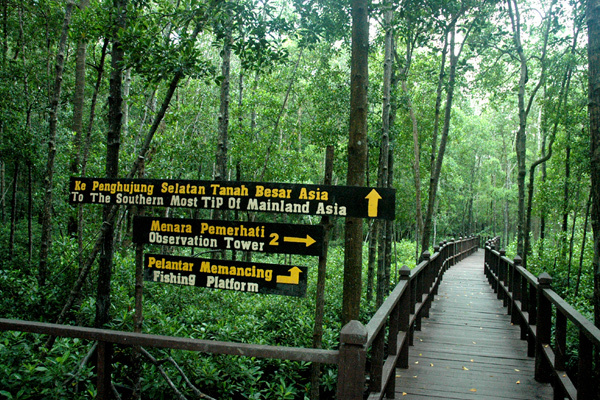 Tanjong Piai is also home to Malaysia’s best protected mangrove, all of which has been designated a conservation area. Desaru, Johore’s famous coastline tourist area is packed every weekend and Singaporean holiday. The promenade attracts the bike-loving Singaporeans for daytrips and excursions. This is an important southern Malaysian tourist attraction built along the Johore-Singaporean Strait due to the large number of international vessels that anchor here and make an excursion. 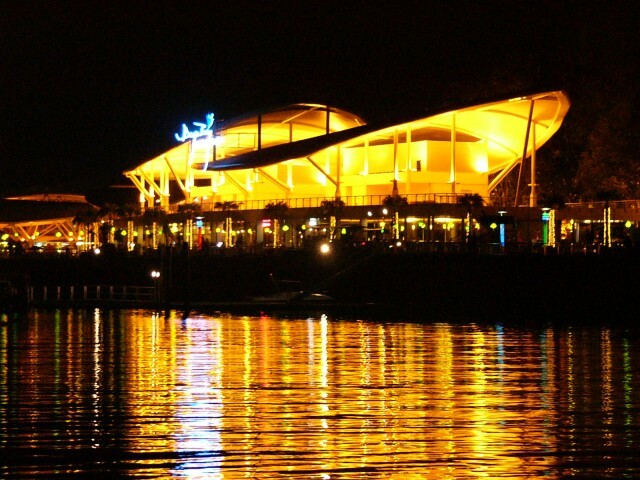 Danga Bay is on track to becoming Malaysian Iskandar top seaside development area. It offers excellent real estate, shopping, and leisure activities. 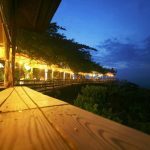 It also has a food and beverage center, a beach bar, water sports, a botanical garden, a small zoo, a yacht club, an amusement park, and a large plaza. 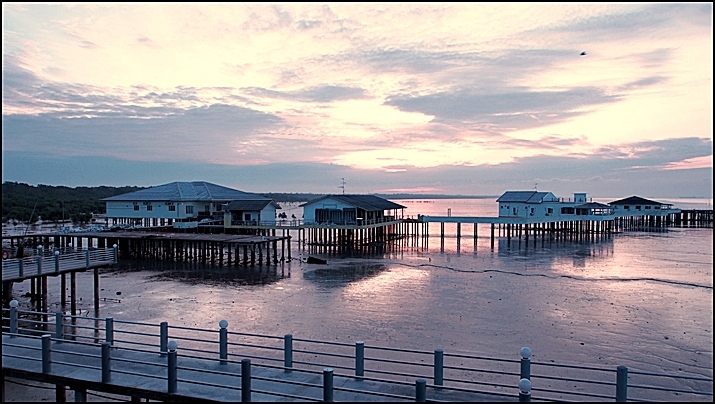 Kukup is a very bizarre fishing village in that it’s built entirely in the water on stilts. Towering over the coastal swampland, it’s the Malaysian peninsula and Asian mainland’s southernmost fishing village. 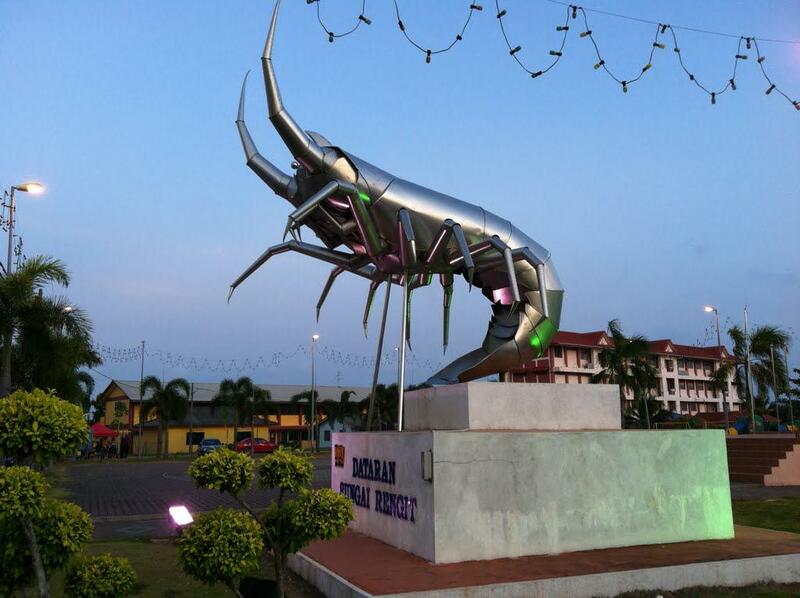 It is about 70 km from Johor Bahru and 20 km from Pontian Kechil. There’s only one public road servicing Kukup, but tourists can also take a boat from Singapore’s World Trade Center here. All of Kukup’s buildings are connected via cement walkways. Kukup Island isn’t too far by foot from Kukup Harbor and at an area of 1,645 is the world’s largest mangrove island. As such, it has been designated a national park. In the nearby waters, you can see many different varieties of fish that they raise in fish farms. 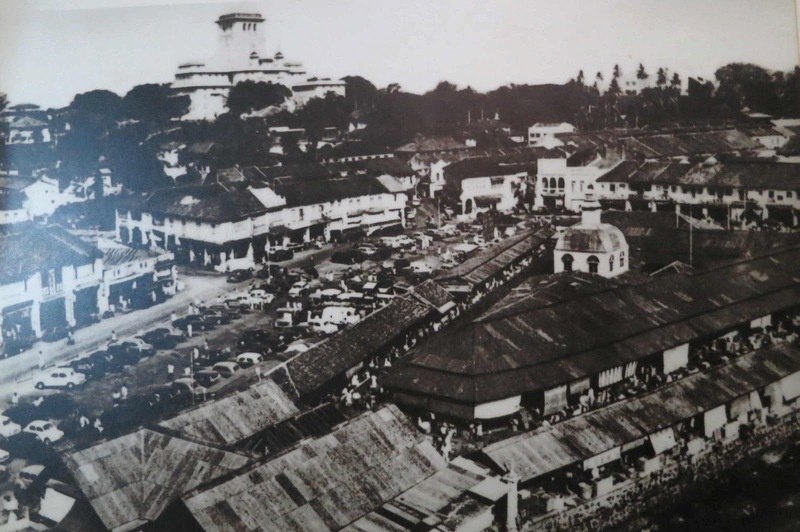 In the year 1511, after Malacca was invaded by the Portuguese, Sultan Mahmud Shah fled to Johore and established the Johore monarchy. Despite this, he kept trying to reclaim Malacca from the Portuguese. Modern Johore is a prosperous, booming state, with a rapidly developing economy, rich natural resources, industrious agricultural sector, manufacturing, and tourism sector, of which agriculture and manufacturing are the largest sectors. If you’re traveling to Johore, as with other famous tourist sights, every season has its charm – as long as you’re right there in the midst of the scenery, you can’t help but get swept up in its picturesque beauty. So if you’re going to Johore’s scenic areas, be sure to do your research ahead of time and be passingly familiar with the sights and lay of the land. If you go with a tour group, the tour group leader will acquaint you with the region’s history, culture, and geography. If you decide to go the self-guided travel route, you should look up Johore’s recommended top sights. Finally, if you’re traveling with a group of friends or family, don’t forget to bring a camera to capture Johore’s delightful sights and your wonderful experiences! that page speed is major ranking factor for google now?